‘Ufros Aleinu Sukkat Shlomecha ופרש עלינו סכת שלומך — Spread over us Your shelter of peace’ is a verse from the Hashkiveinu prayer which Jews say during their evening prayers. Whether you believe that there is a Higher Power empowering us with peace or whether it comes from within, it is still a hope for many of us. Most every one I know is seeking the protection of a peaceful shelter. Here is what we will hope will become our Sukkat Shlomecha. May it be so. . .
Each time I connect with this verse through prayer, song, or study, I feel like I am spinning a cocoon of warmth and love around myself as a means of protecting my spirit from the world around me. The irony here is that the word sukkat or shelter, also refers to a sukkah (a temporary structure that is far from solid). In this moment, as I am trying to type this blog, another thought is coming to me. A shelter of peace is created in many ways through a safe home, loving friends, and a connected community. As I grapple with creating all of those things in my life and within a new community, my sweet, loving Maddie, my dog, has curled up in my lap and reminded me that she is a strong part of my shelter of peace. Where there is love and connectedness, we can be at peace. Reflecting on the use of word sukkat as a shelter leaves me wondering if whoever wrote this prayer realizes that most everything in life is temporary, but we have to find peace within the realities of each moment; if not we will go nuts. Traveling in the dessert or for our harvesting, we dwelled in a sukkah; the structures were not meant to be permanent. Is anything in our lives really permanent? Our lives are full of impermanence. Our relationships evolve on a continuous basis. Our children grow, our friendships evolve, we move, we grow. Our loved ones die and more loved ones are born. And at the end of the day, we all have to find a way to create our own peaceful shelter. Shalom or shlomecha is my favorite word in the entire world. The root of shalom refers to wholeness or completeness; once you have wholeness, peace is possible. With every ounce of my being I pray for the feeling of completeness that comes when my spiritual world interacts with my essence. I strive to create internally what I hope will also exist in my work, my community, and my world. In truth shalom needs to begin with me before I can do the holy work of creating wholeness or peace for others. May we all create ways to ‘spread over us Your shelter of peace’. Feeling the rhythm, connecting with what is. Until the last the breath. I really thought our sukkah was missing; it wasn’t. When I couldn’t find the sukkah last week it triggered a deep sadness that wouldn’t stop flowing. Somehow it looks like I needed to release some intense pain, the kind that sits in you kishkas (guts) and feels like it will never ease up. The good news is that the painful trigger has allowed me to process some unresolved pain and my sukkah was found too! 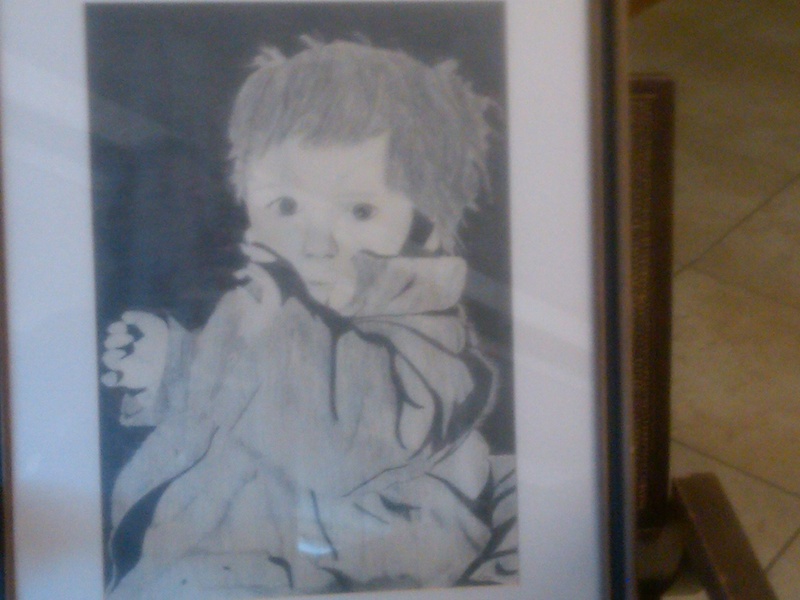 I drew this during my teen years, it always represented deep sadness and renewal too. Each time I look at it, I see pain as well as the perseverance. Life is. Sometimes dreams turn into reality; sometimes reality becomes a nightmare. We don’t always have a choice how we walk through life experiences. Life happens and we expect ourselves to navigate the turbulent waters and find balance during the storms. The route we take during the challenging times often makes it possible ‘to keep our head above water’, but at some point in time, we have to crumble. In many situations, this happens way after the crisis has passed. Last week I crumbled; I succumbed to pain that had sliced open my heart for so many years. The trigger was an event that should have been nothing more than a troubling moment, but instead the moment temporarily shattered my heart and devastated me. We don’t always face pain when we are in the midst of it; often we have to maintain our cool until the crisis is over. Good? No. But reality it is. The pain of losing my sukkah in the move from Maryland to Arizona made no sense until I realized that the pain had more to do with unshed tears and the nightmares that life brought to my son Aryeh and our family. (You can read more about the reality at http://wp.me/pthnB-ha). While the sukkah has been found and the deep sadness released, there is an awareness of my own fragility. My heart is still tender; I still find my eyes welling up with tears, but at least the sobs have finally been realized and I am now on the mend. I am looking forward to building my sukkah this week as I pray and chant the following words. May these words resonate true for each of us. May we all feel safe in the cocoon of life. Being in Tucson has been great for my spirit. I notice the sunrises and the sunsets; the moon calls to me each and every evening; the mountains bring tears to my eyes. I am home. And reality still beckons me; I am in a new place with amazing people and still I feel alone. It takes time to build relationships and to feel safe when you work for a community with people that are also becoming your friends. Fortunately, I am blessed with a spirit that makes friends wherever I stand. So I am never completely alone, but sometimes I feel that way. How can someone who doesn’t know me understand my heart? How can people understand the pain of my past or even the beauty that exists inside of me nearly at every moment? I am unknown. No one really knows my soul in Tucson, but they will if they watch me long enough. Well yesterday, I became crushed and that pain stayed with me for over 24 hours with lingering pain that has absorbed me throughout the day. Rational I am not, pain surrounds me on an cell level. I am in mourning and it goes against every grain of my being. The good news is that in this moment the darkness is NOT penetrating me in this moment. For those of you that know my loving and happy demeanor, I am sure you are wondering what caused my meltdown, what caused my heart to feel like it is shattering. Yesterday, I realized that my sukkah was gone. To many of you , you might be wondering what’s the big deal. I am so not materialistic; simplistic living is a practice I hold so dear. But our sukkah, that was a sign of hope for our entire family when we were struggling with Aryeh’s life. Five years ago, Aryeh needed to have his second brain surgery and we really weren’t certain that life exist beyond the corner. We had hope, but only because we had no alternative. No one wants to face the loss of a child and yet it was a possibility for us. My son was faced with a life and death struggle that was crippling for our family. 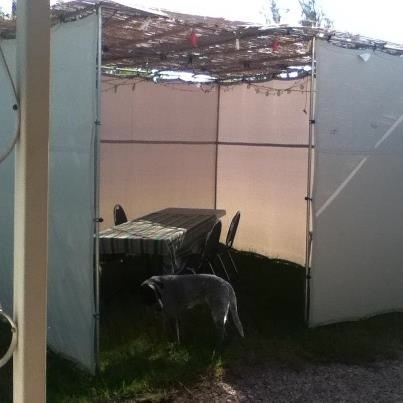 We had little money, yet we decided to splurge for a beautiful new sukkah for all of us. Our hope was that Aryeh would live, but in all honesty if this was his last Sukkot holiday, we would give him the most precious Sukkot holiday we could. Shortly after the first days of the holiday, I traveled across the country with him for the surgery that ultimately saved his life. Losing our sukkah in the move has devastated me. And yet, it makes no sense to me because I now have my son and I am not materialist, but life doesn’t always make sense and that has to be OK for now. Over the last few weeks, I have been reflecting about what tools I need to walk in this world. Blogging, walking my dog, and creating spiritual space has helped formulate paths that resonate with how I want to evolve over the coming period of time. I am a seeker and with that comes a responsibility to act on the insights that come to me. This quote exemplifies how I walk through the world. While I have an introverted spirit, I also embrace the world and that which jazzes me with enormous energy. Nearly two years ago, I embarked on what I then referred to as my Journey to Health. During this journey, I altered my lifestyle and strived to make more conscious health choices. For those of you that followed me, I did a lifestyle count off which started 45 days to my 45th birthday. Mostly, I was successful with the journey. I was able to begin significant weight loss (65 lbs. over many months); stopped eating sugar, sodas and caffeine; and I started moving more. This year, I started writing more for myself and I also allowed myself to become more transparent with my blogging. These two journeys have been about taking care of myself by honoring the person I want to be. But now it is time for me to allow space to cultivate the two journeys together. The Journey to Health is about finding balance between my physical and spiritual beings. I need both to be an active part of my life. In some ways my body is in shock because I haven’t been honoring my whole body simultaneously in years. My guess is that most of us don’t, but some of my circumstances have made it nearly impossible to really take care of me. With one body, one soul, one being – I need to allow myself the space to take care of me in ways that are fundamentally intuitive. That means I need to look at my whole body as I strive for balance. Writing has been happening a lot over the past months, but now I will continue my blogging but also take time four or five days weekly to work on two books that have been half written for too long. And as I do that, I will also be eating better, moving more, and taking time to connect more with nature. Creating ritual is one of the ways that enable me to reach a spiritual content space. In order to find spiritual and physical health I need rituals like writing daily, jogging, walking my dog, hiking weekly (if not more), and drumming/chanting. This is how I find balance in the world. Fortunately, my boys like doing many of these things with me and they also like when I do them by myself. 🙂 I am truly blessed. Tucson is allowing me the room to do what I need to do. My position as a Jewish Educator fuels me professionally; my physical environment touches me deeply; and my family is supportive in both. I am a fortunate person. By sharing my journey, I am making myself accountable to those that care enough to question. I love that people care. Regardless of how the journey develops, enjoy the process with me. Good days and challenging days are part of life’s realities. And know that so many of you inspire me to become a better me; for that I am eternally grateful. Tomorrow, I will take a good part of the day and go to Madera Canyon where I will do some light hiking, a little jogging, and some writing too. Each day I will take time to nurture my entire physical and spiritual being. May my journey to wholeness make me a better person first for myself and then to those I treasure. I really did come into this world to ‘live out loud’ so here it goes! 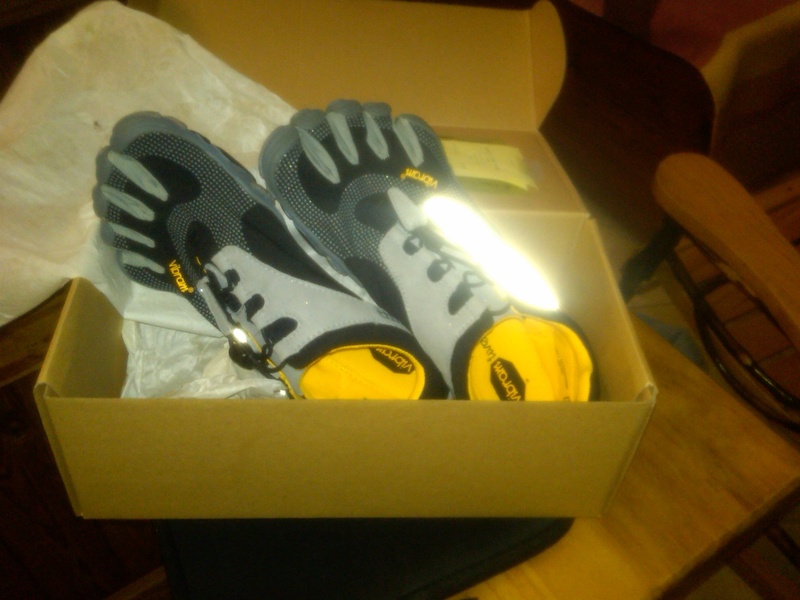 My hope is to relive my running days by beginning a new running/jogging journey with these awesome new shoes. Took the first step by purchasing the shoes…now for the rest of the journey. . . . Writing Elul Reflections has been a profound practice for me. Thanks for joining in my journey and sometimes sharing your thoughts. One of the most precious gifts about this journey was taking the time to actually reflect thoughts that often surface for me. 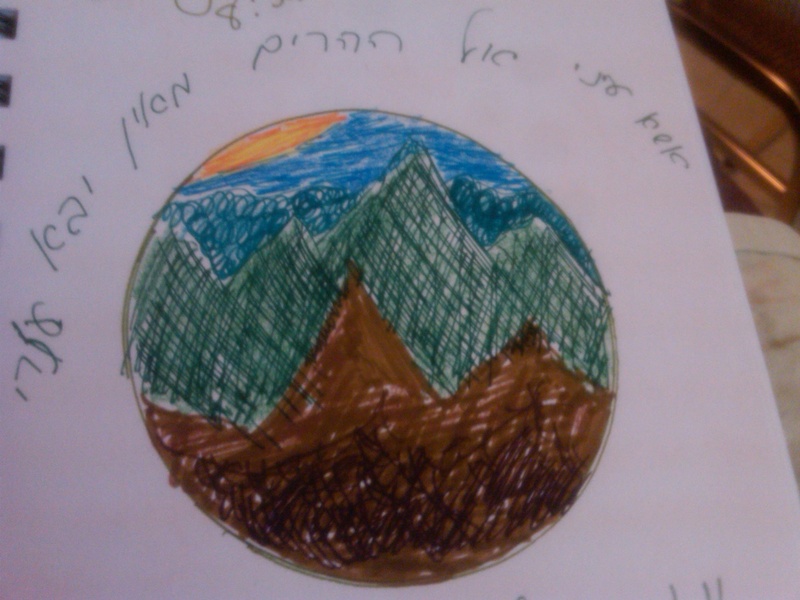 Grappling with these thoughts has been huge for me; taking the time to write about my thoughts has also helped me to feel more balanced as I go into 5773, the Jewish New Year. A writing practice needs to be part of my daily life. Whenever possible, I need to spend time with people that nurture my soul. There is enormous power in silence and solitude. With that in mind, I will be taking some time over the next 10 days, Yomim Noraim* to build these three practices into my daily life. My guess and my hope is that I will appear a little more silent in all areas of my life and that I will become a little more present for myself. Balance doesn’t just happen. In order to achieve balance, you need to create the space that makes it possible to occur. My hope is that by continuing my Elul journey and doing more of the sacred work as the New Year begins, I will create the space that allows for more harmony within my life. Thanks for joining me on this journey. May you and your loved experience an abundance of blessings, good health, and light as you embrace 5773.